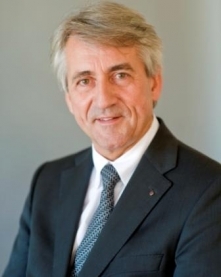 Dr h.c. Klaus Schormann has been the President of the International Union of Modern Pentathlon (UIPM) since 1993. This position was jointly held with the President of the International Biathlon Union until 1998 when the two sports separated into self-governing bodies. 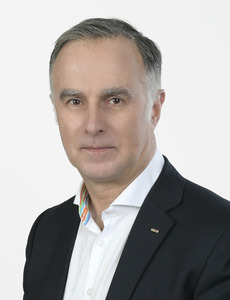 Within the international Olympic movement, Dr h.c. Schormann has been a member and coordinator of the IOC’s working groups on Culture and Olympic Education since 1994. Mr Samaranch has held the position of First Vice President from 1996-2012 and has been a member of the UIPM Board since 1984. 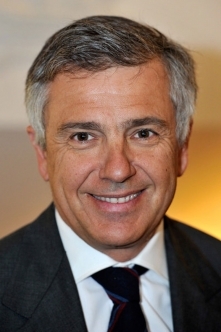 Mr Samaranch is the IOC Vice-President since 2016 and is a Member of the Spanish Olympic Committee. 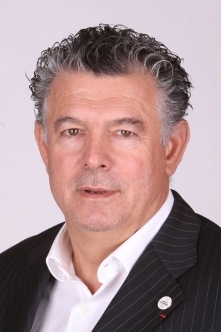 Mr Samaranch has extensive professional experience in the financial sector and is the Chief Executive Officer and Founding Partner of GBS Finanzas, SA. He also has several Directorships in a range of organizations. Mr Bouzou was the UIPM Secretary General for 15 years before being elected as UIPM Vice President. He is a highly accomplished and respected Pentathlete having competed in 4 consecutive Olympic Games (1980, 84, 88, 92) receiving a bronze medal in the 84 teams event, and was crowned Modern Pentathlon World Champion in 1987. Mr. Bouzou holds a Diploma in Sports Law and Economics from the University of Limoges (FRA). He is President of the World Olympians Association (WOA) and Peace & Sport and is the current Sports Advisor for HSH Prince Albert II of Monaco. Mr. Aminov is a lawyer by profession, graduated from Lomonosov Moscow State University. Currently he is the co-owner of "NefteTransService" Ltd., the major partner of the JSC Russian Railways. 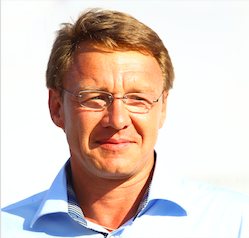 Mr. Aminov is the President of the Russian Modern Pentathlon Federation (RMPF), Vice-President of Russian Olympic Committee (ROC) and Vice President of Summer Olympic Sports Association of Russia. Mr Imashev is the Vice- President of UIPM since 2016 and President of the Kazakhstan Federation of Modern Pentathlon since 2010. Also Mr Imashev is an Executive Board member of Kazakhstan Olympic Committee. From 2011 till 2016 was the Vice-president of the Asian Confederation of Modern Pentathlon. 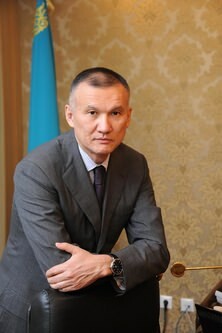 Currently Mr Imashev is a Chairman of the Central Election Commission Republic of Kazakhstan, statesman and politician. He was born on June 7, 1960 in Almaty to a family of academic lawyers. Graduated from Lomonosov Moscow State University. He is a lawyer, Candidate of Legal Sciences.Together with his wife Leyla raised three children: the daughters Aida and Adia, the son of Alzhan. He has four grandchildren. Languages Spoken: Kazakh, Russian, English. Juan Manzo is a former pentathlete working as a Modern Pentathlon coach, judge and speaker since 1982. Juan had several positions in the Modern Pentathlon Federation of Mexico being its President since 2004. He was also the President of Norceca Confederation in the period 2012-2016. 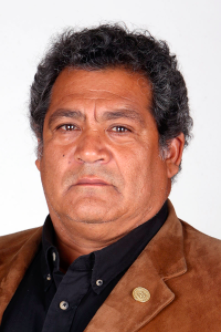 Mr. Manzo is currently a member of the Executive Board both of Mexican Olympic Committee and Mexican Sports Confederation as well as a Senior Lecturer at the National Coaches School. 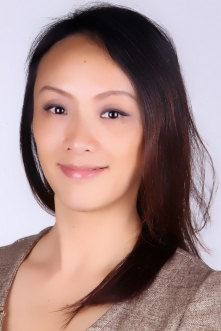 Shiny Fang, former athlete of Synchronizing swimming and Gymnastics Aerobics, head coach, international judge, professor of Sun Yat-Sen University (1999-2006), and chief instructor for a series of educational programs. She has been involved in sports industry and international relations since 2004, and part time responsible for UIPM International Affairs since 2008. As Vice Competition Manager for 2008 Olympic Games (2007-2008), and Competition Manager for 2010 Asian Games (2009-2010), she has been awarded as “Excellence of the Year”, “Organizing Proficient” and “Young Expert of Administration”. She was elected Vice President of International Cheer Union (2010-2014-2018). She is currently member of the ASOIF Sports Development and Education Consultative Group. Mr Helmick is the current Treasurer moving from Vice President, a positon he held since 2000. Mr Helmick has been involved in Modern Pentathlon first as an athlete competing from 1976-1982 then in various roles within UIPM since 1993. Mr Helmick provides invaluable experience in UIPM relationships with sponsors and event hospitality. 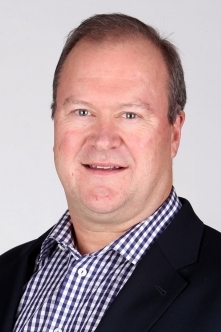 Professionally, Mr Helmick is Chief Executive Officer of a property refurbishment and sales company and currently sits in the Board of Directors of several companies. Mr Peciak was elected Sport Director during Congress in Buenos Aires. He was Olympic Champion in 1976 in Montreal and many times World Champion individual and team. He participated in 10 Olympics as an athlete and coach. He was elected twice as the best athlete in Poland among all sports 1977 and 1981. He also served as Vice President for Polish Olympic Committee 1984-1986. Janusz Peciak holds a Diploma of Master Degree in Physical Education in Warsaw. Languages Spoken: Polish, English, Russian. Mr Dawe has been involved with Modern Pentathlon since 1962 originally as a competitor. He was Team Manager of the Great Britain Team at the Seoul, Barcelona and Atlanta Olympic Games. His first UIPM role was election to the Marketing Committee 1994 to 1996. 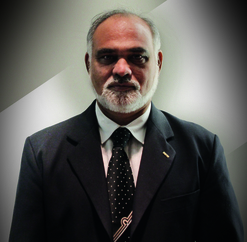 He was also Member of the Executive Board for Marketing 2000 - 2008. 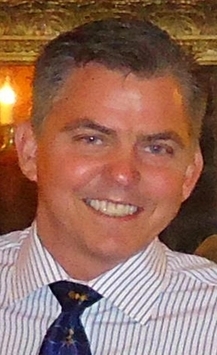 He has been Vice Chairman of Pentathlon GB since 1996 and N.O.C. Member since 1998; He was a Member of the British Olympic Association Executive Board 2010 - 2012. Professionally, Mr Dawe is C.E.O. of his own branding company with clients that include Coca Cola, 3M, Heinz and Marks & Spencer. He is also a Board Director of 4 other organizations. Andrejus Zadneprovskis is a former pentathlete with participations in 4 Olympic Games, with a silver medal in Athens 2004 and a bronze medal in 2008 (Beijing). Mr Zadneprovskis has a degree in Law and is currently also the Vice-President of Lithuanian Federation of Modern Pentathon. Languages spoken: Lithuanian, Russian, English. 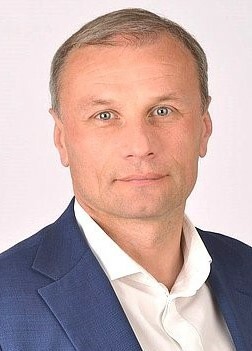 Dr. Viacheslav Malishev is a former pentathlete. He was a member of both USSR junior team until 1991 and Georgian team from 2004 to 2009. He holds Master degrees in social psychology and in modern pentathlon coaching, as well as a PhD in sociology. 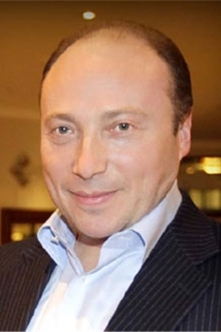 Dr. Malishev has a wide range of business interests in fashion distribution, real estate and restauration, with offices in Spain, Russia, China, and Georgia. 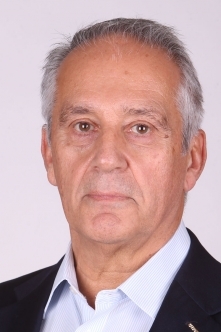 He is the President of Georgian Modern Pentathlon and Triathlon Federation since 2012; UIPM Business Committee member 2008-2012, UIPM Sport For All Commission member since 2013 and UIPM Innovation Commission member since 2017. Languages spoken: English, Spanish, Russian, Georgian. Dr. Natalja Ofitserova has been an UIPM Medical Committee member since 2000 before getting elected as the UIPM Medical Committee Chairperson in 2017. 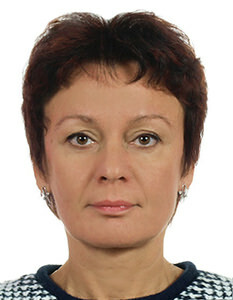 Dr. Natalja Ofitserova has an extensive professional experience, working with National Teams, coordinating the organization of medical support for major sporting events as well as anti-doping activities. She took part in the five summer and winter Olympic Games as an Olympic Team physician (2004 - 2012), Head of the National Olympic medical team (2006), Head of the National Olympic anti-doping team (2008) and UIPM Medical Supervisor (2016). Aya Medany is a former pentathlete and has been started Modern Pentathon in 1997. She has competed in three Olympic Games (Athens, Beijing and London) being the youngest woman in the history of the Games to qualify for pentathlon at the age of 14. Aya won several medals in her international career including gold, silver and bronze medals in World Cups as well as Youth, Junior and Senior World Championships. 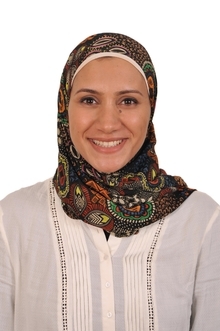 She is a member of IOC Athletes Commission and currently is teacher assistant at the Arab Academy for Science, Technology and Maritime Transport. Languages spoken: Arabic and English. 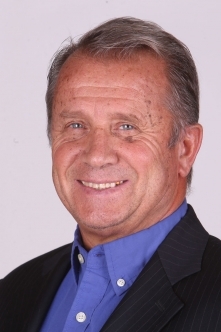 As Chairman of the UIPM Coaches Committee, Mr Roudaut is also Chairman of the UIPM Instructor Group and National Sport Director of the French Modern Pentathlon Federation. He has worked as head coach of the French men's and women's modern pentathlon teams and the British national team. 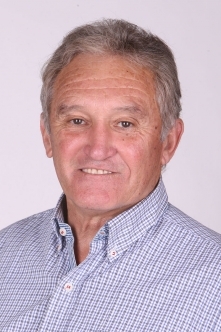 As one of the founders of the UIPM Instructor Group, he has been dedicated in recent years to UIPM sport development around the world along with other committed coaches. Mr Roudaut worked closely with the UIPM development department to create the first UIPM Coaches Certification Programme in 2016. Languages spoken: French, Spanish and English. Mr Sangwoo Park is President of Korea Modern Pentathlon Federation(KMPF) and also Asian Modern Pentathlon Confederation(AMPC). 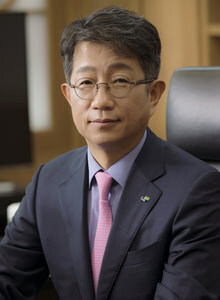 He is CEO of the Korea Land & Housing Corporation(LH), the largest state-owned enterprise in Korea. He is also a board member of Korea Olympic Committee. Language spoken: Korean, English, Japanese. Mr Svatkovsky is a current UIPM Executive Board Member and President of the European Confederation of Modern Pentathlon. 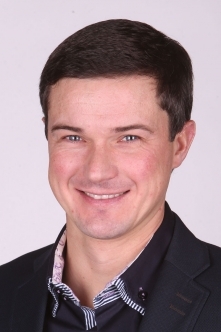 Mr Svatkovsky is an accomplished Modern Pentathlete, holding many titles, most importantly he was the Olympic Champion at the Sydney 2000 Games. At present, he is a Member of the State Duma (the Federal Assembly of the Russian Federation). There he is a part of the State Duma Committee on Control and Regulations. Rob Stull is a four-times USA Olympian in Modern Pentathlon and Fencing and also a former member of the United States Olympic Committee (USOC) Executive board. Currently Rob is holding the position of Vice Chairman in the USOC Athletes Committee and Executive Director and CEO of USA Pentathlon. Kitty Chiller has been involved with Modern Pentathlon for almost 4 decades, having started as one of the first ever female international athletes in 1982. Kitty was a member of the inaugural UIPM Athlete’s Commission and she competed in the first every Olympic MP event for women in her home Olympic Games in Sydney 2000. She was also Team Coach for the Australia male MP team at the 1996 Atlanta Olympics. Kitty has remained the driving force behind MP in Australia since her retirement as an athlete; she has been President of the Australian NF since 2008 and also President of the Oceania Confederation since 2017. 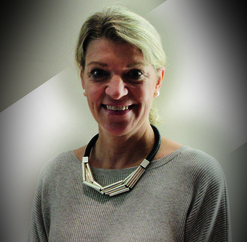 Kitty also has a long association with the Olympic movement; having been Media Director for the Australian Olympic Team at the 1988 Seoul Games; Deputy Chef de Mission in London 2012 and she was the first ever female Chef de Mission for the Australian Team in Rio 2016. Kitty has been an Executive member of the Australian NOC since 2013. Mr Salas is a current UIPM Executive Board Member and President of the South America Modern Pentathlon Confederation (2008-2012). He was an Olympic competitior in Biathlon, founder of Argentine Modern Pentathlon and Biathlon Federation and Co-founder of South American Modern Pentathlon Confederation. At present, he is a member of the Argentine Olympic Committee, Argentine Sport Confederation and Panathlon Buenos Aires. From 1992 he was President of Argentine Modern Pentathlon Federation. Languages Spoken: Spanish, Italian, English.